Now knows what "no hope" feels like. built by slaves. -- well not for long. Various news outlets and the Child of Hope/Son of Promise himself have said that the last eight years in the Obama Whitehouse have been scandal free. Progs, never known for being all that bright, have very convenient memories. Appointing "czars" to go around Congressionally approved cabinet secretaries. Mass executive orders instead of going through the process of having Congress make appropriate laws. 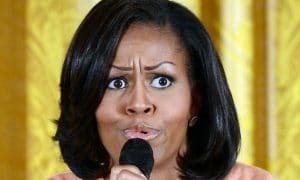 Barack and Michelle were outed as the first gay and transgender couple to occupy the White House, and Joan Rivers died a couple of weeks later (conspiracy theorists point to murder). The Iran Nuclear Deal - a Scandal all its own where a treaty was concluded with a pen and a phone outside of the US Senate's approval. GSA Scandal - busted for spending $823K on a lavish conference in Las Vegas. Hillary Clinton E-Mail Scandal, where Russia hacked her server and read America's secrets. There will be more of these when the skulduggery of the past eight years comes out under the Trump Administration's scrutiny.